A different, quality way of doing business is how buyers, visitors and exhibitors are describing their experience of the first day of World Travel Market® (WTM) Africa 2015 which kicked off on 15 April at the Cape Town International Convention Centre. The morning festivities began with Cape Town Executive Mayor, Patricia de Lille, officially welcoming all exhibitors and media to the second addition of WTM® Africa. De Lille has been Mayor since 2011 and was named World’s best Mayor in 2013. Honourable Deputy Minister of Tourism, Tokozile Xasa, joined De lille on stage to officially open the show with the cutting of the ribbon. With over 500 exhibiting companies bringing the world to Africa and promoting Africa to the world’s leading source markets, WTM® Africa has been praised for the quality of its international buyers, superb organisation and excellent conference content. 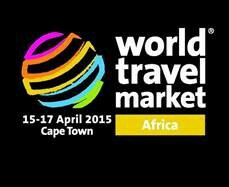 “I was so encouraged to see the phenomenal attendance at WTM® Africa's great sessions today! It's clear the African Hospitality Market is really keen to actively learn about global industry insights and trends, in order to showcase such an incredible destination on the world's stage. The audiences were super engaged, full of thoughtful questions and perspectives, and I'm really looking forward to what the next two days have in store - see youtomorrow,” commented Alana Witte, Director for Revinate’s African and Middle Eastern divisions, who spoke about next-generation marketing.